This is 7.62x39 Tula 124gr. Hollow Point Ammo. This ammo is made at Ulyanovsk Cartridge Works in Russia. 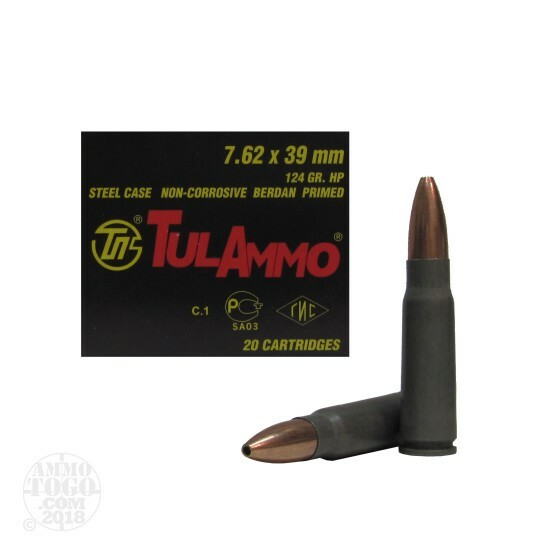 This ammo has a polymer coated steel case. It is berdan primed and 100% non-corrosive. It comes packed in 20rd. boxes.